We have a brilliant guest today, and I think you’re going to love everything he has to share. Kam Knight is the founder of Mindlily.com and author of several bestselling books on learning, memory, and productivity. Over the past fifteen years, he has dedicated his life to uncovering the secrets of the mind and how to optimize its performance. 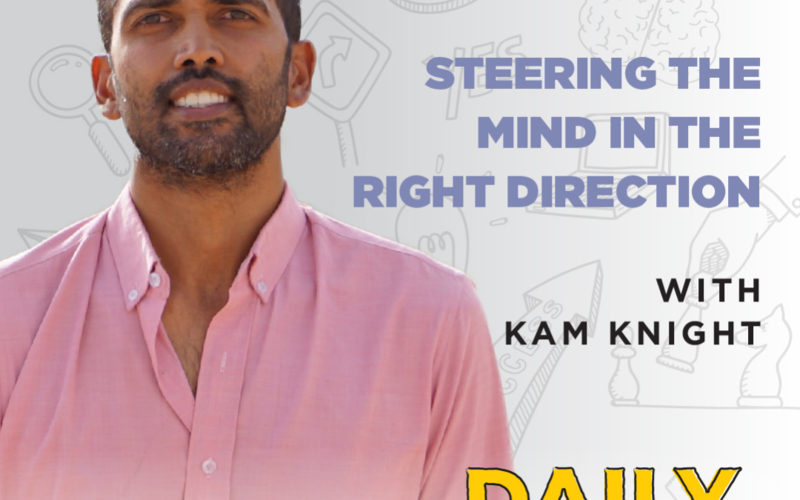 When Kam is not writing, teaching, or speaking, he is globetrotting, having traveled to nearly 100 countries around the world. His adventures include diving with hammerhead sharks in the Galapagos, swimming with a whale shark in Honduras, biking the Death Road in Bolivia, hiking the tallest mountain range in Africa, sleeping in the world’s oldest rainforest in Malaysia, and climbing over a dozen active volcanoes. His books and teachings have helped over 100,000 people learn to do more, in less time, and with more fun. At the end of the day, spend five minutes thinking chronologically, in great detail, about everything that occurred that day. The more we do this, the more the brain learns that it will need to work harder throughout the day to recall information later that evening. Dogs’ primary sense is smell. For bats, it’s sound. Humans remember pictures, faces, and places far better than any other information. Visualize the information that you want to remember. Explore memorization utilizing auditory, visual, and kinesthetic learning styles. Remember: multitasking is a myth. Remove distractions; the body’s need to remain in motion will lead to an increase in productivity. Western societies have become societies of consumption. I don’t mean products; what I mean is content. There’s just so much content readily available to us – shows, podcasts, YouTube channels, self-publishing. It’s easy to get into the habit of consuming content and not actually taking action on it. It’s all about doing. It’s not about necessarily gaining the knowledge, because knowledge helps us learn, but doing is what’s going to help us grow.